Tamanna Bhatia and Prabhu Deva worked for a film together, Devi in Tamil and Abhinetri in Telugu. Movie became a hit in Tamil but failed in other languages. Still, a sequel is planned for the movie. It is releasing on 12th April. The movie is titled, Devil+2. 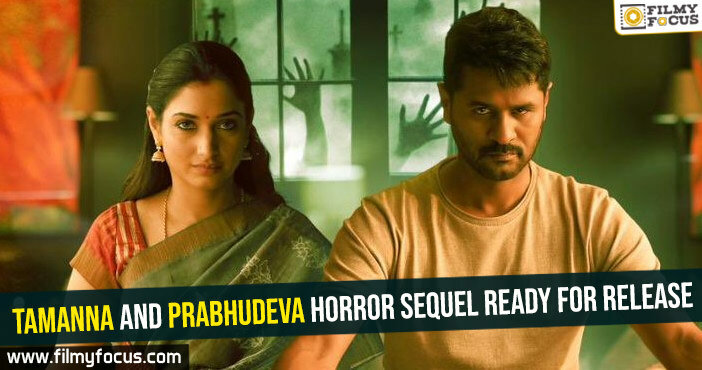 Prabhu Deva could also become the person haunted by a ghost in the film along with Tamanna. Movie is said to be hitting theaters in three languages again. AL Vijay who directed the first part is directing the second part too. The promotions for the film will start from next week and go to the peaks from Holi festival time, it seems. Prabhudeva believes in the franchise and he wants this one to become even bigger hit than all his previous films it seems. Simbu and Nayantara movie in Telugu!